The History Society is proud and privileged to have contributed towards a plaque erected in the Village Hall in memory and recognition of the hard work and immense amount of time given by Bob Rivers towards numerous causes in the village. 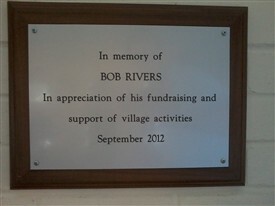 The plaque was unveiled in October 2012 following Bob's sad passing in April. 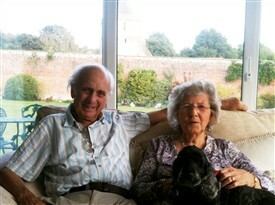 Although Bob and his wife Barbara only came to Hothfield in the 1990s they have left a significant mark on the village. The History Society remains grateful to Bob and his wife Barbara for their hard work transcribing the church records of Baptisms, Marriages and Burials which involved numerous trips to the central archive in Maidstone. 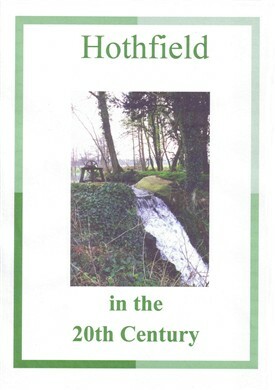 Bob and Barbara also transcribed the Reverend Russell’s extensive research and helped to compile the publication of the village’s history in the 20th Century. 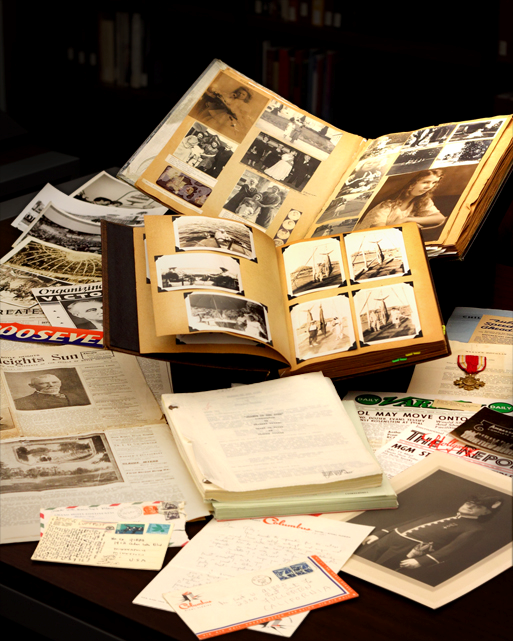 Bob also undertook detailed family history research of some of the notable past Hothfield families. Bob’s legacies also include raising large amounts of money for the Youth Project, the Village Hall and other local facilities including the multi-use games area that are now freely enjoyed. Bob was also happy to lend a hand in repainting the church and joining the Village Hall's committee. Bob's final bid for funding for Hothfield was our Heritage Lottery Fund. Bob's health was already fading and he had handed over his knowledge to others in the village to carry on the process of obtaining grants for good public causes, but he undertook the HLF's bid himself. Bob described the bid as the hardest he'd ever done and it was also the largest single grant from one source that he'd ever obtained. Bob passed away just a few months after the grant was approved. This website is a tribute to his hard work, tenacity and dedication to Hothfield. This page was added by Chris Rogers on 23/06/2014.